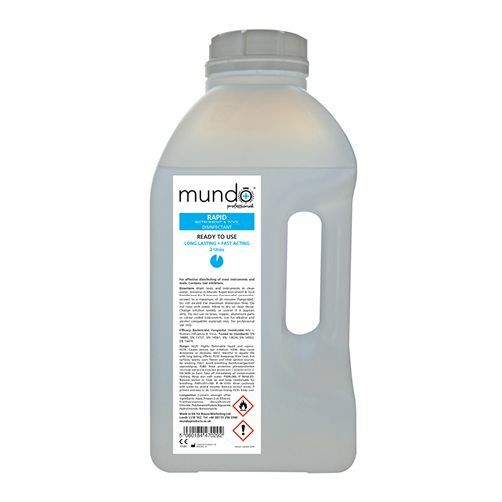 Fast acting, high level disinfectant for instruments and tools. This ready to use formulation provides one of the most convenient ways to disinfect. Effective Spectrum: Methicillin Resistant Staphylococcus Aureus (MRSA), E-coli, Pseudomonas Aeruginosa, Enterococcus Hirae, Staphylococcus Aureus, Mycobacterium Tuberculosis (TB), Clostridium Difficile (C-diff), HIV 1, Human Influenza B Virus, Aspergillus Niger, Candida Albicans.